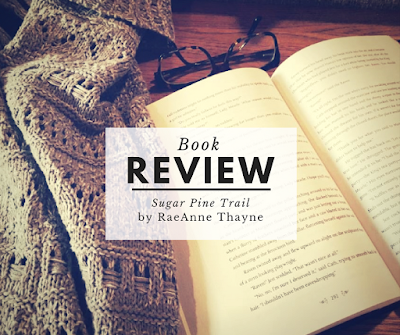 Today, I have a review of the newest book in the Haven Point series, Sugar Pine Trail by RaeAnne Thayne! Happy to step in, Jamie reveals a side of himself that's much harder to resist. Not only is he fantastic with kids, he provides the strength Julia needs to tackle her list. She knows their temporary family can't last beyond the holidays, but the closer she gets to Jamie, the more she wonders if things could be this merry and bright forever. This was my second visit to Haven Point and I absolutely loved it! While each book is capable of standing on its own, I'm slowly collecting the previous five novels so that I can go back to the beginning and become truly acquainted with this idyllic community. While there are some similarities between this book and the previous one, Serenity Harbor, that seem to create a formula for these types of stories and series, I didn't mind at all and couldn't wait to pick up where I left off. This installment follows Julia, the town librarian, and Jaime, a pilot for Caine Tech. This is again another slow burn romance between two very different individuals who ultimately bring out the best in one another. Both have very strong assumptions about the other based on some extreme generalizations, but in getting to know each other, their friendship builds towards an incredibly adorable romance that was so enjoyable to read. Their attraction to one another is only enhanced as they care for two little boys going through a very troubling situation with their mother who suffers from PTSD. Clint and Davey are incredibly sweet boys, and even in the face of such adversity, they bring an endearing and inspiring quality to this already heartwarming story. I am so glad I stepped out of my comfort zone and gave these cozy light romances a chance. This story is filled with so much Christmas magic and hope that it will be a perfect choice to curl up with to greet the holiday season. Additionally, Thayne's writing style is so graceful that these stories begin to feel like you're coming home. As a veteran and someone who also struggles with anxiety and PTSD, I could empathize and identify with so much of what these characters were going through. I love her ability to take what could have been an otherwise cliche romance and craft it into a story featuring inspiring characters that are making a difference in the world around them. 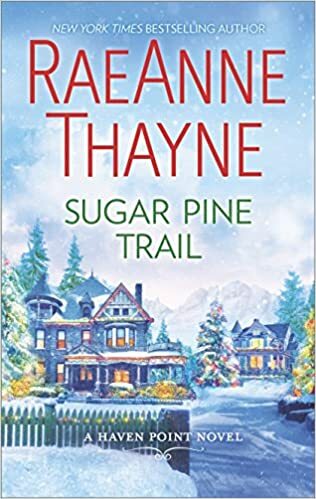 This was definitely a holiday hit that I will return to and I hope you'll get it a read as well!